Bob Jacobs received his Ph.D. in Applied Linguistics at UCLA, where he worked with John Schumann and Arnold B. Scheibel. He has lived for extended periods of time in Germany, Japan, and China. 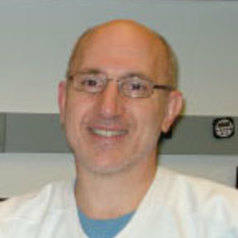 He became a member of the Colorado College Psychology department in 1993 and developed the Neuroscience major in 1996. His research interests include language acquisition, non-human animal communication, cognitive neuroethology, and comparative neuroantomy. Most recently, he has been conducting collaborative quantitative neuromorphological research on several more exotic species: elephants, humpback whale, giraffe, manatee, and Siberian tiger.